Last Friday night, just before 11pm, a cluster of about 20 bright lights were seen crossing the sky over Great Britain and Ireland. In Scotland a number of people called the police thinking that they were witnessing a plane crash; luckily they weren't. The real cause of the fireballs was either meteorites or pieces of "space junk", an old satellite or spacecraft, burning up when they entered the Earth's atmosphere at very high cosmic speeds. If the objects survived their fall to the Earth's surface intact then they've probably fallen into the North Sea. It's likely that this spectacle might generate a few UFO reports too. 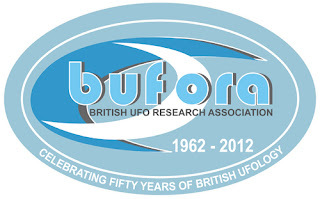 If you want to make a UFO report for the first time, with no experience of the subject, and you go to Google and put in "UFO", one of the first hits you'll get is the website of BUFORA, the British UFO Research Association, see: http://www.bufora.org.uk/content/ For a long time now, I've been a believer in synchronicity and used the word "coincidence" less and less to explain the way separate events can be very apt in their timing. You see, the day after this celestial fireworks display, the BUFORA Conference began and I attended. 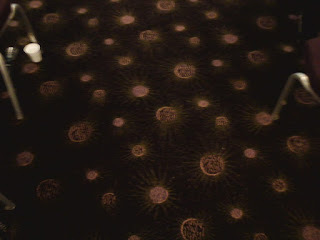 The hotel itself is modern and very grand, a bit too grand perhaps. There was nowhere we could purchase refreshments over the counter and when I asked if there was somewhere I could buy a cup of tea the receptionist said: "Go and sit in the bar and I'll send the waiter in to serve you." I did so and about five minutes later a very dapper man in a suit came in and said: "What would you like, Sir?" This 5-star service arrangement is all well and good if you enjoy that kind of thing, but when you've got a 15 minute break between speakers you just long to be able to just flip somebody 50 pence and have them hand you over a mug of tea straight away. I apologized to the waiter and told him I didn't have time. Then I did what I should have done to begin with: nipped out of the hotel to the greasy spoon across the road. This became the generally-accepted social gathering place for many of the delegates over the weekend. 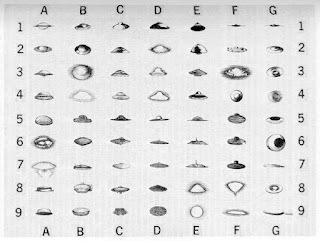 The three letters "UFO" are a very good root for acronyms because they have two vowels with a consonant in the middle, hence the ease with which names like MUFON, BUFOG, CUFOS etc roll off the tongue. BUFORA is another, although it was originally BUFOA, the British UFO Association; the R for "research" was added in 1964 when the original group merged with another. The tall and learned-looking founder-president Lionel Beer (BUFORA link) opened the conference with a brief history of the organization. It began in September 1962 at a meeting in Kensington Central Library; this was exactly 50 years ago, so this one was a very special anniversary conference: the half-centenary, as you can see in the banner (Thanks to Matt Lyons, the BUFORA chairman for allowing HPANWO to illustrate this article with these official graphics). Their first Chairman was Nick Stephenson whose photo is below. 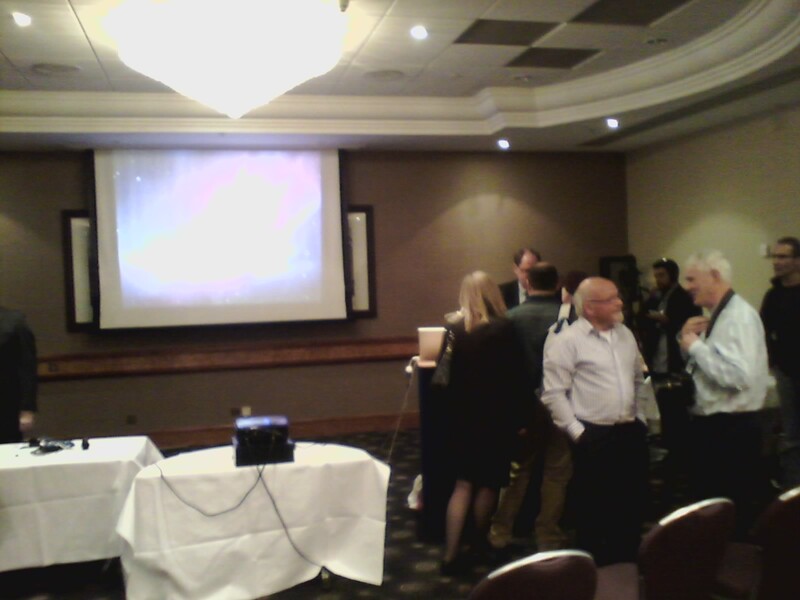 As another speaker quipped: "It's 65 years since 1947 so modern UFOlogy is at a pensionable age." 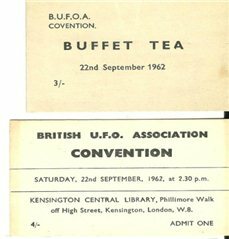 BUFORA immediately recruited a network of investigators and got stuck in to all the biggest and most promising British cases, the "Warminster Thing", the Lakenheath Incident, the famous 1979 House of Lords UFO debate and many others. BUFORA has a reputation for being a "pure" UFOlogical group, an aspect which I'll expand on more later, but it's had its fair share of sinister and underhand attention over the years, including an attempted infiltration by the Church of Scientology and the Aetherius Society. The latter are bat-excrement crazy, but pretty harmless; however the former are well-known to have a dark and violent side to them. When Lionel received threats he was understandably worried. In the early years he also had to contend with the rise of the far right and their own involvement with UFO's. BUFORA members were harassed by the sinister and mysterious people calling themselves "APEN- the Aerial Phenomenon Enquiry Network". This is believed by many to be a cover-organization for the National Front or one of the other BNP-like parties that were popular at the time. The Government were investigating those parties at the time and people showed up at BUFORA meetings whom Lionel swears were MI5 or Special Branch. I'm not sure, but I suspect that APEN was actually run by the Government itself, however they'd be foolish to let every department of MI5 and Special Branch in on that secret so I don't doubt that real agents from those outfits did attend Lionel's meetings as he said they did. I met a man from Germany at the conference who told me that UFOlogy is very unpopular in his native country because it has connotations with Neo-Nazism via its inevitable overlap with the conspiracy theory community. The German author Jan van Helsing is specifically named as a bridge between the two milieux. I've read one of van Helsing's books, paradoxically advertised under the title Don't Touch this Book!, and I could find nothing racist or fascist in it, but I do understand why the Germans are very sensitive about this subject because of their own tragic history. I myself am a part of this overlap, but I can honestly say that there are far fewer people in the conspiratorial world with racist and far rightist political views than most people think; and nothing justifies the hysterical and hateful abuse that David Icke has suffered at the hands of the "anti-fascist" movement, see: http://www.youtube.com/watch?v=P2ypYcZ7qfw If anybody dares to accuse me of being a Neo-Nazi then the kindest thing I can say to them is... leave my vicinity... or words to that effect! BUFORA also found itself hurled into Cold War politics, which, sadly, few people managed to escape in the 60's and 70's. A staffer from the Soviet Embassy joined and although Lionel approved his membership it lost the organization a part of its security certificate. More infiltrators turned up at meetings and asked political questions. Lionel thinks that these people were testing BUFORA to see where its political loyalties lay. He was also tested to see if he would swallow disinformation. Luckily the Association has a policy of being non-political which was a wise move in those days; and it still is, up to a point. 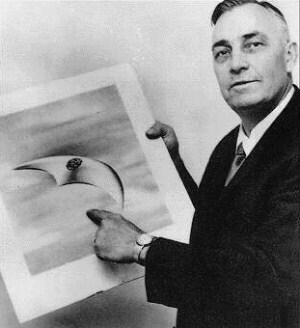 BUFORA has long been affiliated with the magazine Flying Saucer Review, and since Gordon Creighton sadly went, as Lionel puts it, "to that great saucer in the sky" BUFORA has been given the substantial research archives of that oldest of UFO journals. 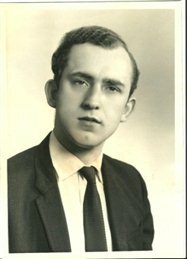 Lionel has had his house raided by the police, has been arrested for photographing Bentwaters Base (This was before the Rendlesham Forest Incident), sat for five hours in the House of Lords public gallery, been thrown out of Morely College and had L Ron Hubbard threaten to drown him in the sea! The life of a UFO investigator is not without its hazards. Heather Dixon supports the policy BUFORA have towards the use of hypnosis to retrieve information from a witness. They're against it. She says hypnosis simply fuels and solidifies fantasy and can construct false memories. This is highly disputed and there are many other groups who endorse the use of hypnosis and rebut the misgivings Heather described. I recently interviewed Mary Rodwell on HPANWO Radio, see from 0.46.40: http://hpanwo-radio.blogspot.co.uk/2012/08/programme-11-podcast-mary-rodwell.html. As she details in the interview, she think hypnosis is a good method of recovering lost recollections and explains why she refutes the theory that it generates falsified memory. The same goes for AMMACH, see: http://hpanwo-tv.blogspot.co.uk/2012/09/ammach-conference-2012.html. Jenny Randles (See: http://www.ufoevidence.org/researchers/detail40.htm) is a living legend in the UFO community. She is one of the "Four Horsewomen" of Rendlesham Forest (Another of the Four, Dot Street, was a delegate at the conference. Brenda Butler was not there and Georgina Bruni has sadly passed away) If it hadn't been for those four eminent ladies the Rendlesham Forest Incident would never have become what it is today, see: http://hpanwo-tv.blogspot.co.uk/2010/12/rendlesham-forest-incident-30th.html It's unlikely anybody would have even heard about it. At best it would have emerged rather like the Roswell Incident did: the aging witnesses coming forward 30 or so years later, round about today, with wild stories but no documents, no photoes, no forensics, nothing. She's a former chief investigator with BUFORA. Jenny could not travel to the venue personally, so through the wonders of technology she spoke from her home in North Wales via a live Skype link (A lot of UFO enthusiasts seem to live in North Wales for some reason). Like several of the other speakers she once again reminded us that over 95% of all reported sightings are explicable in mundane terms, what she called "IFO's- Identified Flying Objects"; it began to sound a bit like a mantra to me. She thinks it's important to focus on IFO's for the same reason Heather Dixon does, however I once again found myself wondering if they're focusing on that a bit too much. Jenny plans to write a book on IFO's... a book!? Normally it's only Skeptics who write books like that (I analyze exactly what I mean by "Skeptics" as opposed to "sceptics" in this episode of HPANWO Radio, from 1.07.23: http://hpanwo-radio.blogspot.co.uk/2012/07/programme-5-podcast-skeptics.html) But Jenny is not a Skeptic, she has not completely rejected the Extraterrestrial Hypothesis. Perhaps we could call her and people like her an "IFOlogist". As a writer myself I know how much effort is required to write a book; it means giving up a year or more of your life to write, rewrite, revise, edit, submit, negotiate with publishers etc. Jenny is taking the line Heather did, the perceived necessity of constantly looking over your shoulder, to an even greater degree. Another observation Jenny made was that when people experience a UFO sighting, like in the case of the meteor shower the night before, you'll often find that they embellish the details of the sighting. For example if they see a few balls of fire trailing across the sky they'll then later on claim that they saw a structured craft with lights running along it, or that they heard a buzzing alien-like sound coming from it etc. This may sometimes be the case, but there are other incidents which indicate the exact opposite. The strange case of the "Avebury Carlos" is one. A few years ago, some engineers built a fake UFO out of a model plane and flew it over Avebury, an ancient sacred site and a gathering place for mystics, hippies and pagans. The intention was to fool them and therefore show them up for being dupes. People did indeed report a UFO, but in a way the plan backfired because they reported pretty much what they saw. There were none of the embellishments and exaggerations that the hoaxers were banking on. It showed that even the so-called “most gullible members of society” have turned out to be much better witnesses than previously thought. 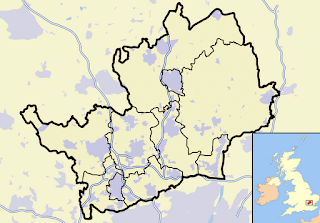 Jenny Randles has recently been a focus of controversy because of her views on one of the most significant events in British UFOlogical history, the Berwyn Mountains Incident of 1974, the "Welsh Roswell" (This is an inaccurate nickname, in my view, because it does not involve a crash-retrieval. See here for my review of the book on the subject UFO Down by Andy Roberts: http://hpanwo.blogspot.co.uk/2011/01/ufo-down-by-andy-roberts.html) This case has been massively played down by the mainstream media with facetious newspaper reports like this one: http://www.thesun.co.uk/sol/homepage/features/3380291/The-RosWelsh-incident.html This article is not only making a mockery of the entire event in true tabloid style, with its comic-book illustration and the clumsy, Murdochian forced pun in the title; it contains errors that could so easily have been avoided that I can only conclude that they were "deliberately not avoided"; for example, the police searched the wrong mountain! 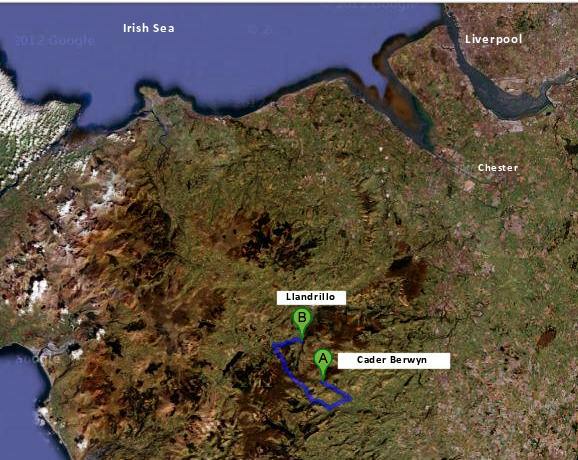 However the dismissal of the magnitude of the Berwyn Mountains case comes from inside the UFO community too. To this day many UFOlogists maintain that this was the coinciding of an earthquake and bolide meteor, together with the "earthlights" phenomenon written about by Paul Devereux. Unfortunately Jenny is one of them; in fact she even claims to have seen an earthlight herself during a field trip to the Berwyn range. 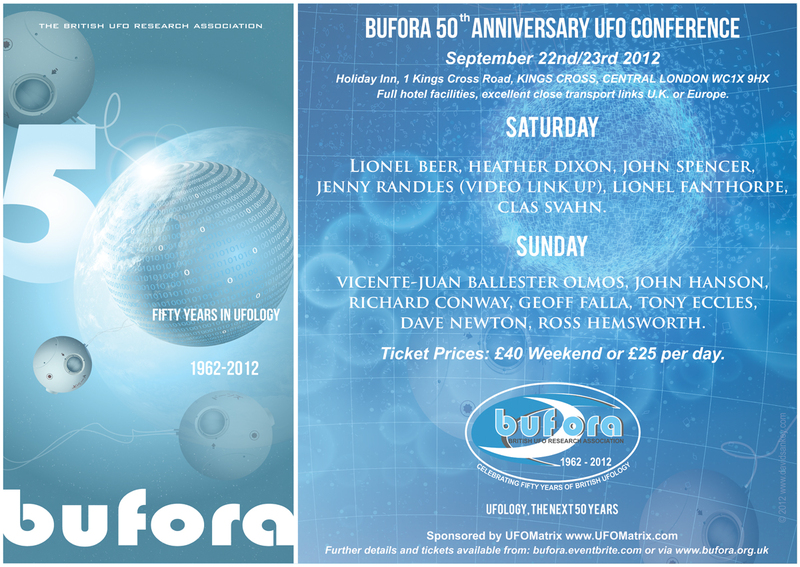 A good friend of mine is Richard Wright, who reviewed the 2011 BUFORA Conference for UFO Matrix magazine. He is both a UFO journalist and a geologist. He told me that Jenny must have seen something else that could not be an earthlight. The only way rocks can produce light is through friction, like rubbing two bits of flint together to produce a spark. What's more a massive amount of work has been done by many UFOlogists, especially Scott Felton and Richard D Hall, that proves that no other event in our sights right now deserves further study more than the Berwyn Mountains Incident. Richard has produced a feature-length documentary on the subject which I recommend, see: http://www.richplanet.net/dvd30.php In less than two years it will be the 40th anniversary; are we going to let it go past just shrugging it off as earthquakes and earthlights? Another conference speaker, Dave Newton (See BUFORA link) disappointed me by also repeating this line during his address on Sunday. There have been a few TV and radio reports about Berwyn like this one: http://www.youtube.com/watch?v=rNR2M0eYsEQ It features a number of UFOlogists being interviewed, however among the out-takes you should find Scott Felton as well. Why was his part not broadcast? A TV expert would say: "We had to cut it down to 45 minutes and simply didn't have room for him", but the way the other individuals, like Jenny, are given so much air time indicates that it is the nature of what was said that decided what this film's editors chose to broadcast, and what to exclude. 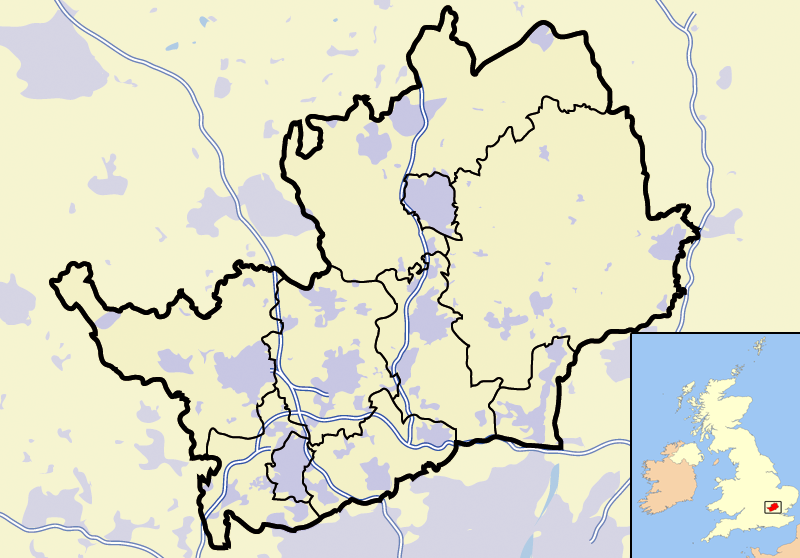 This means that this programme is presenting Berwyn in a particular light. If therefore we have some kind of media cover-up in operation and this film is a piece of its propaganda then Jenny Randles is collaborating with it, whether she knows it or not. That would be a great shame given her vital contribution to UFO truth in the past. During our Saturday lunch break I was walking though the merchandise area when I saw an elderly man wearing a neatly-pressed suit. He looked well built and his head was shaved, though he had a sparse beard, like a retired bouncer; but he also had an intensely jolly smile and bright eyes that looked youthful and full of joie-de-vivre. I went up and spoke to him. He had a calm, mellow and intelligent voice. It wasn't long before I recognized him as the Revd Lionel Fanthorpe (See: http://www.lionel-fanthorpe.com/) He has one of the most impressive CV's you could ever wish to see, in fact it's easier to think of something he hasn't done than something he has. He's a school teacher, a vicar, a motorbike expert, a journalist, a martial arts expert, a weightlifter, a wrestler, he's a member of MENSA, the society for people with high IQ's, and on top of all that he is president of ASSAP (See: http://hpanwo-tv.blogspot.co.uk/2011/09/assap-seriously-strange-conference.html) I first heard of him many years ago when he presented the brilliant programme Fortean TV, see: http://www.youtube.com/watch?v=Tec6O83LHWM Now aged 77 he's still going strong and has lost none of his charisma; in fact I've often described him as Britain's answer to Robert Anton Wilson. He did a presentation entitled Behind all Anomalous Reports. He made a list of all possible things UFO's are, and aliens from space was just one of them; the list was similar to what you'll find in Richard Dolan and Bryce Zabel's AD book, see: http://hpanwo.blogspot.co.uk/2011/08/exopolitics-leeds-2011.html 1: ET's, 2: interdimensional objects, 3: time travellers 4: ghosts 5: angels and demons 6: denizens of Atlantis or another unknown prehistoric Earth civilization; I'm sure we can think of more. There are two other possibilities that spring to my mind, 7: All of the above, 8: None of the above; something nobody has yet thought of! His speech was light-hearted yet informative, and I was enthralled by his story about how a man experienced an interdimensional slip while in the public toilets outside Norwich Cathedral! Another entertaining performance took place at the end of the Conference on Sunday and was carried out by my old friend Ross Hemsworth (See: http://www.rosshemsworth.com/) whom I was delighted to see again. Ross organized one of the best conferences I've ever been to in Glastonbury in 2008; unfortunately it was just a one-off, see: http://hpanwo.blogspot.co.uk/2008/06/now-thats-weird-conference-2008.html In his lecture he describes a strange encounter he had with a telepathic being in Rendlesham Forest. The photo is copyrighted and so I can't post it, but the being appears as a smoky or misty shape above Ross' head. 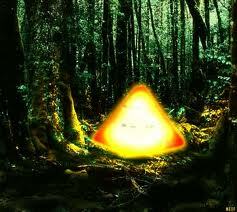 It has a humanoid face and what looks like huge ears or horns coming out of the side of its head. I hear that Ross and Lionel Fanthorpe are going to do a TV show together soon; I have a feeling those two will make a good double act. John Hanson (See: http://hauntedskies.blogspot.co.uk/) also gave a fascinating speech about his experiences in Rendlesham Forest, and he even brought with him some of the mysterious stones that appeared out of thin air and dropped to the ground in the forest. 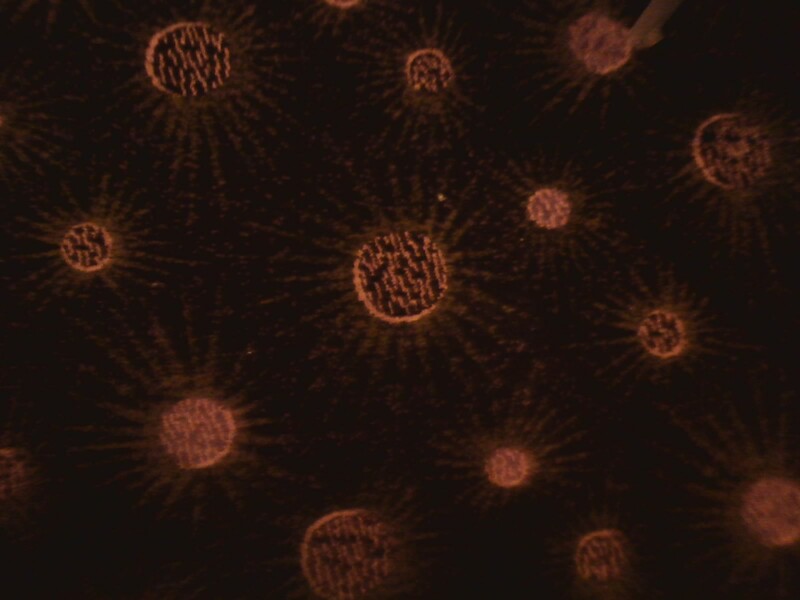 These are what are known as "apports", solid objects that seem to manifest out of nowhere, usually during Spiritualist seances. John allowed us to handle the stones and they looked and felt like ordinary stones to me, but John, like Ross, has had some really weird experiences in those woods and is willing to talk about them. He's also engaged in a monumental project to construct an encyclopaedia of Britain's UFO's. As you can see in the link above; it is going to run to many volumes. The history of UFO's and their impact on human society is a theme picked up by several of the speakers John Spencer (See: http://www.amazon.co.uk/UFO-Encyclopedia-John-Spencer/dp/0747234949/ref=sr_1_1?s=books&ie=UTF8&qid=1348524444&sr=1-1) made a speech entitled "A History of UFO's" in which he described how the UFO phenomenon has evolved alongside human society, set against the backdrops of World War II, the Cold War and the advent of the Space Age. 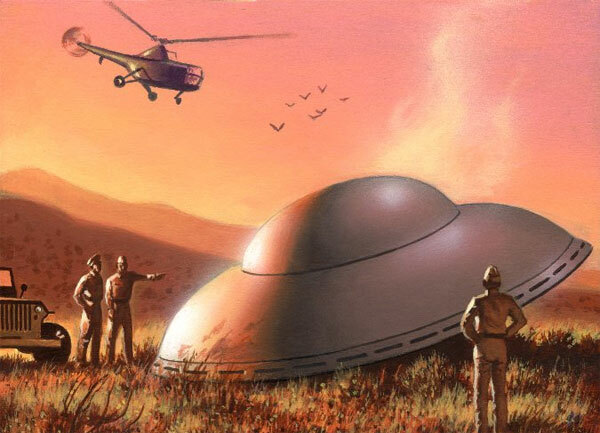 It is clear that in fact UFO and alien encounters have not changed at all; it is our attitude towards them that has changed and it's changed because our world has changed. This leads to the question that often gets knocked back with curious frowns: Why do we call them "extraterrestrial"? The answer will often be seen as obvious: "Because they come from outer space of course!" But do they? How do we know that? Dave Newton and several other speakers echoed the thoughts of some other people I know, like Brian Allan, see: http://hpanwo-radio.blogspot.co.uk/2012/08/programme-10-podcast-brian-allan.html The classic Extraterrestrial Hypothesis is the one which states that UFO's and aliens are flesh and blood creatures from some unknown Earth-like planet a long way out in space, which we could see with a telescope if we looked hard enough, and that they fly here in nuts and bolts spacecraft that are simply more sophisticated versions of our own rockets; this is really an assumption. There's little hard evidence that indicates that that is the case. If they're not little green men from Mars then what are they? I refer you to Lionel Fanthorpe's list. Tony Eccles (See: http://anthonyeccles.wordpress.com/author/mistereetony/) has discovered that there are many similarities between alien encounters and religion, like Shamanism. This is a point not lost on people like Rick Strassman and Graham Hancock (See HPANWO Links column). Contactees have a lot in common with Spiritualist mediums and indigenous shamans of the Amazon who take psychoactive drugs to commune with their gods. Despite this Tony doesn't think that UFO's are a religion. There is no "UFO God" as such (although Steven Greer thinks there is, and it's him!). On the question of what UFO's are Clas Svahn (See: http://www.ufo.se/) has been studying a particular type of UFO: "ghost rockets". These date back to the 1930's and the first ever recorded aerial interception was deployed by the Swedish Army Air Corps in 1931 to try and examine them (Good 2009). They continue to be reported to this day. Unlike most UFO's these do bear a moderate resemblance to man-made aircraft or projectiles; they tend to be streamlined and have wings, fins and propulsion nozzles. They're also unique in being almost exclusively confined to a specific region of the world: Scandinavia. They often end their flights by dropping into lakes and Clas has even organized a diving expedition to one of the lakes where a ghost rocket has been reported to have landed. So far they haven't found anything, but the lake bed is covered in thick, deep mud so they'll need to go back with better scanning equipment. I hope he'll succeed because he's been chasing these stories since he was 16 years old. Geoff Falla (See: BUFORA link) has studied incidents in which people experience close encounters while driving along in their cars. These often start with the vehicle suddenly malfunctioning; the engine stops, the electrics cut out, the radio experiences interference etc. This is a very common feature of UFO incidents on the road and was what befell Richard Dreyfus' character in the film Close Encounters of the Third Kind. The director of that movie, Stephen Spielberg, approached real UFOlogists to act as consultants. Geoff has gathered some interesting statistics that seem to indicate that certain regions of the globe are more afflicted by these kinds of events than others, and it's all to do with latitude and longitude. Richard Conway (See BUFORA link) Did a presentation together with his father Stan Conway (Not billed) that was definitely one of my favourites of the Conference. Richard is the science adviser of BUFORA and shares a passionate interest of mine: Free Energy. I got the impression from the blurb that he was going to debunk the concept, but in fact he didn't. He is dubious only about those people who claim to have received the knowledge to build advanced scientific technology from "alien epiphanies". He met a lady in Turkey who built a lightweight ceramic radio-shield after an extraterrestrial being told her how to. I don't think it's prudent to dismiss the notion that people can be inspired this way; after all Tony Eccles showed us that ET contact experiences are very similar to other kinds of mystical states of mind; and that it's a well-known fact that some great marvels have been achieved through them. Francis Crick, the discoverer of DNA, was encouraged in his quest by visions and insights he gained on LSD trips. I hope Richard and Tony compared notes afterwards. Richard also takes seriously the issue of "Cold Fusion" that I myself have investigated, see: http://hpanwo-tv.blogspot.co.uk/2012/09/martin-fleischmann-dies.html and: http://hpanwo-tv.blogspot.co.uk/2009/09/freikraft.html and: http://hpanwo-voice.blogspot.co.uk/2012/09/cold-fusion-still-ongoing.html . Stan Conway gave an energetic talk about the progress of Zero Point Energy technology. Amazingly NASA have launched a serious project to research this and as you'll see in the links above, so has Dr Robert Duncan of the University of Minnesota. But as I say in those linked articles, these projects up till now have been very abortive. For some reason they start very well, but grind to a halt. Rumour has it that some "rich philanthropists" get involved who quietly and covertly scuttle the ship when nobody's looking. For this reason I'll be watching these new projects very carefully to see what happens. Richard talked about people he refers to as "tinkerers", these are laymen with an interest in science who carry out scientific work as a hobby. Among these he includes John Hutchison, John Searl, Edward Leedskalnin and Viktor Schauberger. He says that these people are often just "eccentrics" who have misled themselves into thinking they've made a scientific breakthrough, and when properly-trained scientists investigate they find out that there's nothing in them. However I've studied these individuals myself and I take them far more seriously (See for example: http://hpanwo.blogspot.co.uk/2009/06/alternative-view-ii-part-4.html and: http://hpanwo.blogspot.co.uk/2011/11/who-is-wilbert-smith.html) Most of these "tinkerers" come from the USA, and this is a country with a great tradition of garden shed, amateur inventors; people like Thomas Edison and the Wright Brothers. People laughed at them once, but, as the Frank Sinatra song goes, who has the last laugh now? I'm very glad I went to the BUFORA 2012 50th Anniversary Conference. I met some lovely people, caught up with some old friends and made some new ones. I had some great conversations with Matt Lyons, the chairman, the German man I mentioned and another man called Bill. 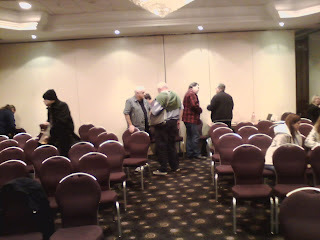 I also met up with some old buddies, like Colin and Dave from Probe, see: http://hpanwo-tv.blogspot.co.uk/2010/10/uk-probe-conference-2010.html I also saw Mike Rutter whom I interviewed at a recent Probe conference, see: http://www.youtube.com/watch?v=RbKiDPHpvbU Many thanks to all the organizers and speakers for their hard work in putting together this conference and for giving us this information on stage. I must confess it was not what I expected. I said at the beginning of this report that BUFORA was "pure"; I meant that it is purely for the scientific study of the phenomenon and doesn't embrace any of the conspiracy theories related to the subject. The Exopolitics movement, on the other hand, takes a diametrically opposed position on UFO's. 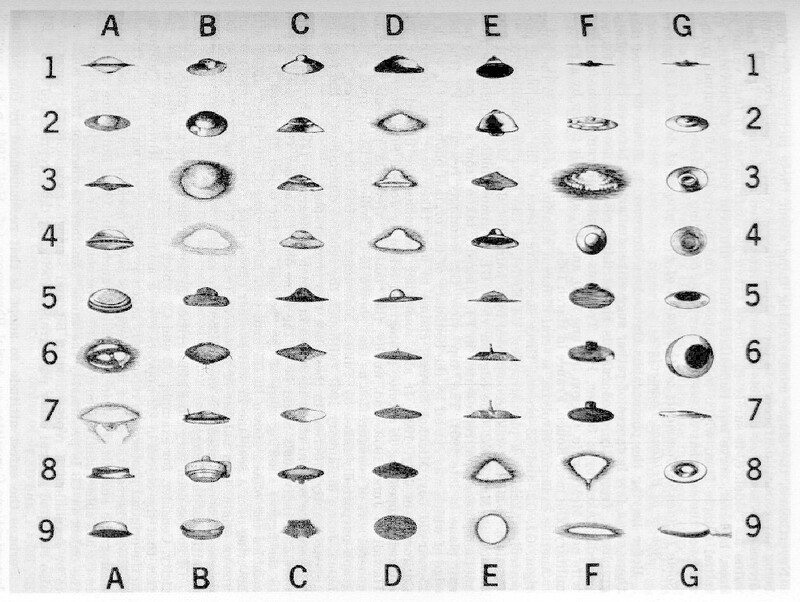 For them, UFO science has already done its job and generated a conclusion: UFO's exist; now what do we do about that? One thing's for certain if you're campaigning for Disclosure: There is, by definition, a conspiracy involved. My own opinion, as regular HPANWO-readers know, is that the Exopolitics movement is correct. This doesn't mean that UFOlogy has no further purpose; it does. Just because I'm certain that UFO's exist doesn't mean that the scientific investigation of them should stop; on the contrary, it is an even more urgent mission now. Therefore there is still a role for organizations like BUFORA. My concern is that the denial that a conspiracy exists could lead to them easily falling foul of one, and, as I've detailed above, the Berwyn Mountains case could well be the first tripwire. Nick Pope defines Exopolitics as the "militant wing" of UFOlogy; I define it as a group of UFOlogists who have simply made up their minds. In this episode: Glyn Southsea finds out all is not what it seems to be about the disaster that has hit his hometown and he soon finds himself investigating the "Hertfordshire Roswell".